To say that Vanessa Kimbell is passionate about baking sourdough bread would be an understatement. She runs the Sourdough School in Northamptonshire where she runs clinics and courses dedicated to the art of sourdough. Vanessa is a 3rd generation baker of Italian descent and qualified at the age of 18 after spending her childhood helping out at a bakery in the South of France. She's the in-house baker at Bakerybits Ltd which makes artisan bakery equipment and is a regular contributor to BBC Radio 4's Food Programme. 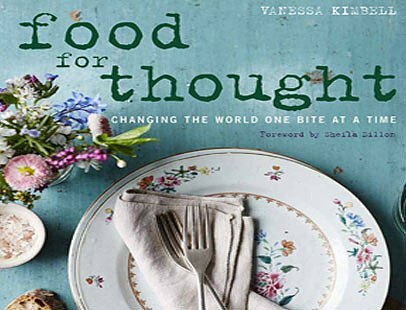 Vanessa's second recipe book, `Food for Thought' by Kyle Cathie is due to be published in September this year. When making a spelt sourdough the best advice she can give is to be patient and don't meddle with the process. You do not need hot water, live yeast, grapes, rhubarb or anything else to get yeast going as wild yeast is naturally present on the grain. Remember that it is essential to use organic flour when making a sourdough starter as organic flour doesn't have any anti-fungicides which would inhibit wild yeast development.